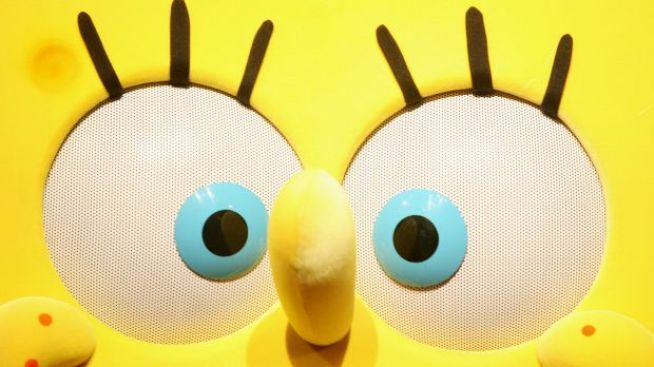 SpongeBob, Dora the Explorer and other popular TV shows will not go dark on Time Warner Cable after Viacom rached a deal with the cable giant. Millions of Time Warner Cable customers won't lose their access to Nickelodeon, MTV, Comedy Central and 18 other channels after the cable giant reached an agreement early Thursday with media conglomerate Viacom Inc. The two sides, citing disagreement over fee hikes, had threatened a damaging blackout at a minute past midnight Thursday that would have cut off shows such as "SpongeBob SquarePants" and "The Colbert Report" to about 15.7 million subscribers. "We are pleased that our customers will continue to be able to watch the customers will continue to be able to watch the programming they enjoy on MTV Networks," said Glenn Britt, president and CEO of Time Warner Cable Inc. "We are sorry they had to endure a day of public disagreement as we worked through this negotiation." Terms of the deal were not disclosed. Details must still be finalized over the next few days, the companies said. Viacom president and CEO Philippe Dauman said the company was happy a deal was struck. Viacom had mounted an advertising onslaught warning customers of the possible blackout, taking out ads in major newspapers and Web sites from The New York Times and TVGuide.com featuring a tearful "Dora the Explorer" crying and clinging to her monkey pal, Boots. "Why is Dora crying?" the ad read. "Tonight you will lose Nickelodeon and 18 other channels from your TV." It then prompted people to call their cable company to complain. The dispute would have affected some 13.3 million Time Warner Cable subscribers, mainly in New York state, the Carolinas, Ohio, Southern California and Texas; and 2.4 million customers of Bright House Networks in Michigan, Indiana, California, Alabama and Florida. Time Warner Chief Executive Glenn Britt on Wednesday had called Viacom's demand for a 12 percent increase in fees — an extra $39 million on top of the estimated $300 million it pays Viacom annually — extortion and outrageous given the recession. Viacom countered that the requested increase amounted to an extra $2.76 annually per subscriber. Viacom had argued that Americans spend a fifth of their TV time watching Viacom shows but its fees made up less than 2.5 percent of the Time Warner cable bill. Spokeswoman Kelly McAndrew said that despite ranking high in the ratings, Viacom's cable networks' average daily license fee was 65 percent lower than that of networks run by The Walt Disney Co., News Corp.'s Fox, Time Warner Inc.'s Turner Broadcasting System and Discovery Communications Inc.
Analyst Michael Nathanson with Bernstein Research said Viacom's channels had been "underpriced relative to their peers." Public carriage fee disputes of this scale between a programmer and a cable operator are not that common, especially when there's a threat of a blackout, said Derek Baine, senior analyst at SNL Kagan in Monterey, Calif. Typically, both sides agree on contract extensions as they negotiate on terms, he said, and any blackouts don't last long because TV operators get calls from outraged customers. In October, Time Warner Cable wrestled with LIN TV Corp., which operates local TV stations affiliated with NBC, CBS, Fox and CW. But this time, Time Warner Cable faced Viacom, the largest cable programmer, not a small independent with a handful of channels. The channels in the dispute were Comedy Central, Logo, Palladia, MTV, MTV 2, MTV Hits, MTV Jams, MTV Tr3s, Nickelodeon, Noggin, Nick 2, Nicktoons, Spike, The N, TV Land, VH1, VH1 Classic, VH1 Soul and CMT: Pure Country.